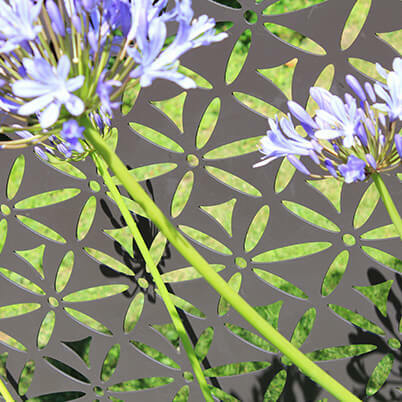 Full height (1190mm x 1780mm) decorative screen with laser-cut geometric 'Motif' design manufactured from strong, long lasting powder coated aluminium, 3 panels supplied with posts and fittings. 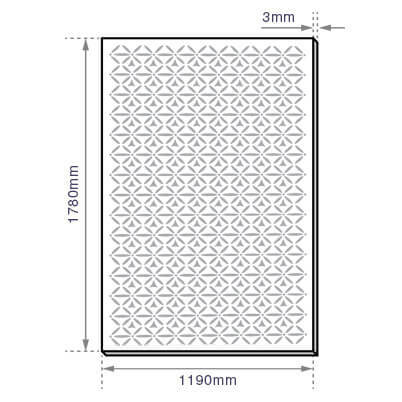 Please allow 7 to 10 working days from order for manufacture and delivery. 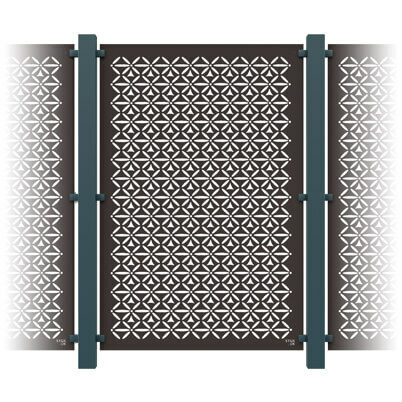 3 panel garden screening kit with Japanese inspired design for in-ground mounting, full height panels are ideal for screening, delineating outdoor spaces and boundary fencing panels. 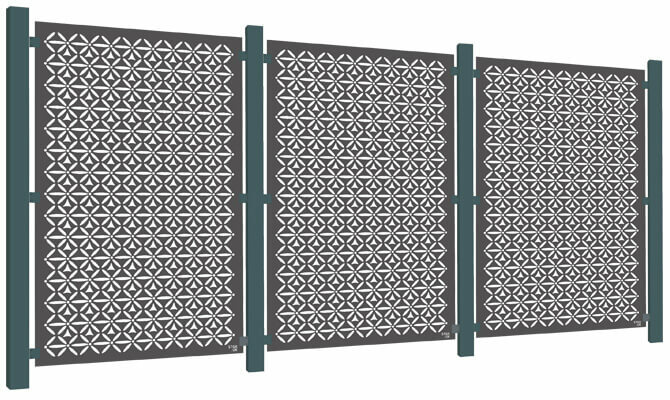 posts are supplied un-drilled so you can position for the best result to suit your project. Posts should be securely fixed into the ground using Postcrete or similar. Optional Terrace Feet for surface mounting are available individually. End caps are provided to weatherproof the ends of your posts, and are easily attached using a high strength adhesive. Straightforward installation with the use of a few household tools, Postcrete and adhesive. A delivery surcharge of £40.00 inc VAT. will be applied to each order. For delivery outside the UK please contact us by phone or email and we will try and find you the best solution. Downloadable PDF guide for in-ground installation. 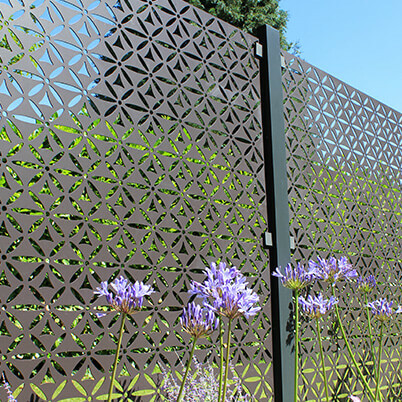 Decorative garden screens and panels are designed here in Britain by Stark and Greensmith and manufactured from recycled materials.